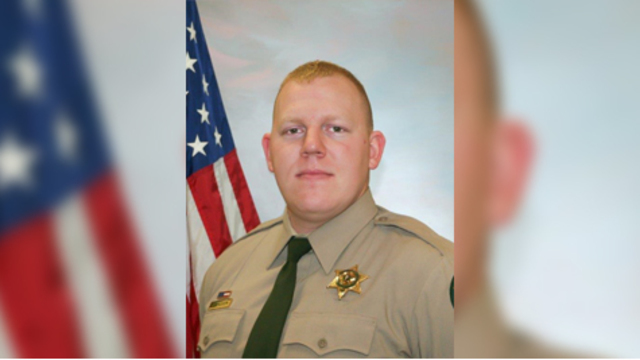 KALAMA, Wash. (KOIN) -- Two Kelso police officers answering a "suspicious subject" call on Sunday night fatally shot a person connected to the shooting death of Cowlitz County Deputy Justin DeRosier. Kelso Police Chief Andrew Hamilton said the officers, Sgt. Fletcher and Detective Gower, "met with an armed combatant" when they answered the call around 7:05 p.m. Sunday. Fletcher and Gower, both 24-year veterans of the force, are on standard paid administrative leave during the investigation. An October 2017 booking photo from the Washington State Department of Corrections. The suspect has been identified as 33-year-old Brian Butts. 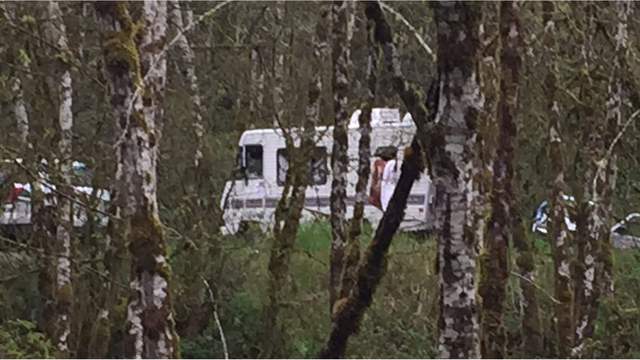 Cowlitz County Sheriff Brad Thurman said the events of Sunday night were "a big relief" following a 36-hour investigation. "The community can know the danger is over." Clark County Sgt. Brent Waddell said 2 brothers, Matthew Veatch and Michael Veatch, were taken into custody, one directly related to the case and the other on unrelated warrants. According to court documents, officers found Matthew Veatch at a home on Modrow Road around 2 a.m. Sunday, during the massive manhunt in the hours after DeRosier was shot. Matthew Veatch told the officer he'd heard gunshots near his Fallert Road home and about 10 minutes later, Brian Butts arrived from the bushes. Matthew Veatch said Butts gave him a handgun to "get rid of" and he locked it in his own gun cabinet. Court documents say Veatch admitted to leading Butts away on foot. As they walked for hours toward Modrow Road, Butts told Veatch he had shot a cop. Butts hid in a barn in the woods and Veatch told the officer he didn't know where Butts was. "Proximity and investigation" led to the suspects, Waddell said, and added it's "very early in the investigative phase" of the case. "There are still a lot of unknowns," he said. Butts' mother owns the motorhome DeRosier was sent to check on Saturday night before he was shot. She told investigators he was in possession of it. Investigators said Brian Butts is related to Daniel Butts, who killed Rainier Police Chief Ralph Painter in 2011. 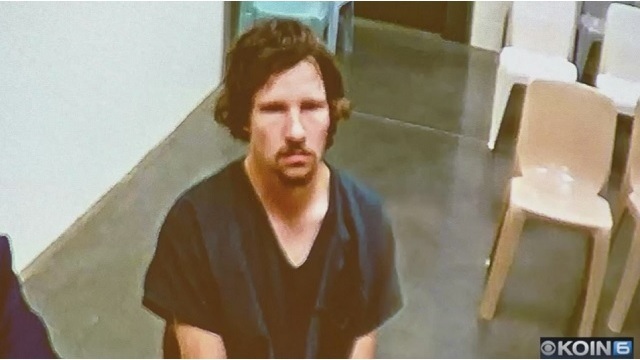 Daniel Butts changed his plea to guilty in March 2019 and was sentenced to prison but will first go to a mental hospital. Brian and Daniel have the same mother. Their fathers are also brothers. Justin DeRosier was a Kelso native and a new father who leaves behind a wife and a 5-month-old daughter named Lily. 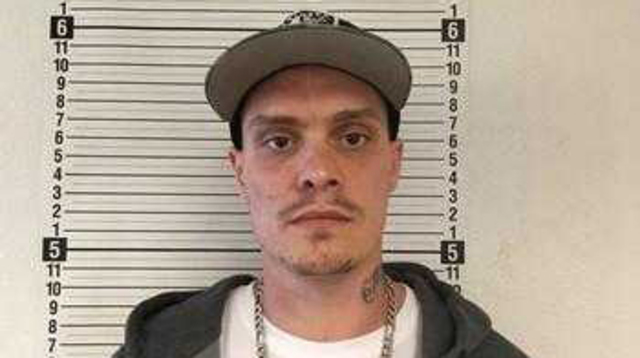 DeRosier was airlifted to an area hospital after he was shot near Fallert Road and Kalama River Road around 10:30 p.m Saturday. He was dispatched to a disabled motorhome blocking the road and was shot sometime after arriving. He died in surgery after midnight. Thurman said preparations for DeRosier's services are still being made in coordination with his family and the group Behind The Badge. KOIN 6 News will have more information later.